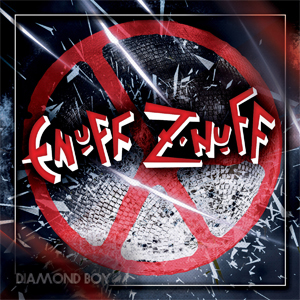 In anticipation of the SiriusXM Hair Nation Tour that kicks off later this week and in celebration of the release of their newest studio album, Diamond Boy, ENUFF Z'NUFF have released a music video for the title track to said album! See the video in full on KNAC.COM HERE. Diamond Boy was released on August 10, 2018 on CD/LP/Digital and landed at #34 Top Independent Current Albums and #157 Top Current Albums on the U.S. Billboard charts as well as at #16 on the UK Indie Album Breakers Chart. The album has been praised by both media and more importantly, fans as an incredible addition to the band's catalog and a true triumph for Chip Z'Nuff as he assumes the role of frontman with the band. Purchase or stream the album HERE ENUFF Z'NUFF will embark on the Sirius XM Hair Nation Tour with BULLETBOYS and JACK RUSSELL'S GREAT WHITE later this week, with Eddie Trunk hosting select dates. Visit https://www.enuffznuff.com/ for dates and ticket info.